Illus. in full color. 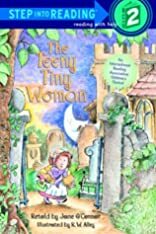 In an adaptation for beginning readers, a teeny tiny woman finds a teeny tiny bone on a teeny tiny grave and takes it home, only to be hounded by a teeny tiny ghost who wants his bone back!